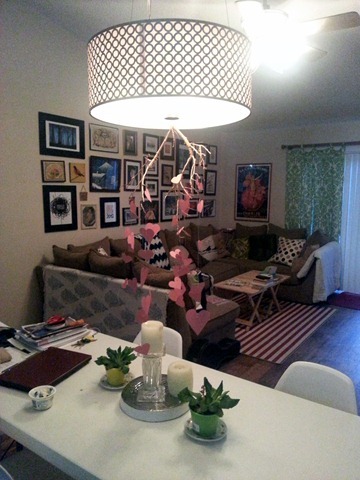 I may or may not be quoting the Neil Diamond song, but this project has a little sparkle with or without the Diamond. 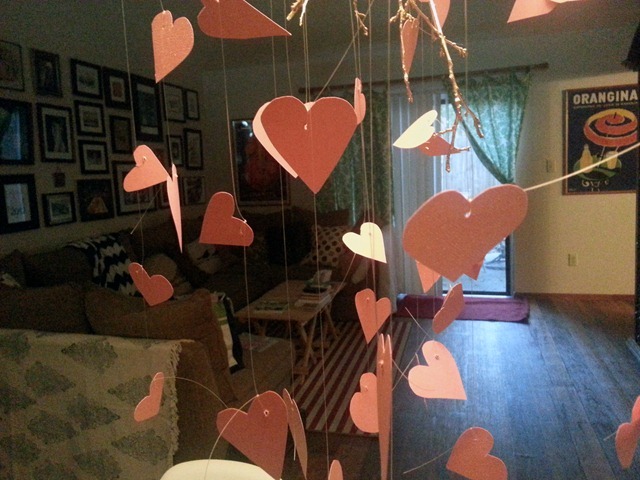 It all started with a random branch that my aunt and cousin spray painted in my grandma’s backyard while using gold paint for homemade Valentine’s presents. 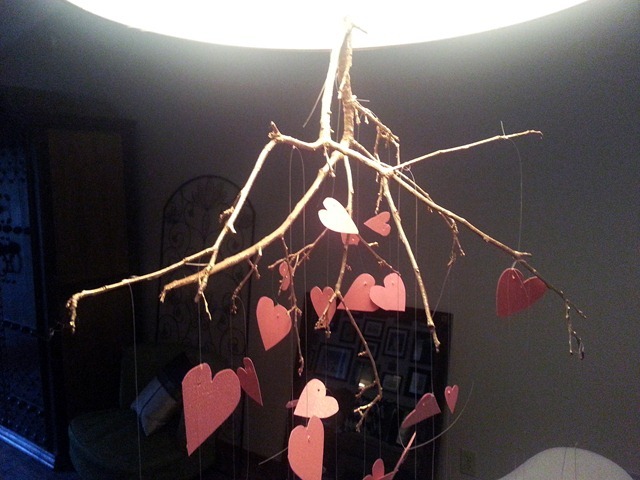 I liked the branch so much I brought it home, scheming to make some kind of mobile out of it. 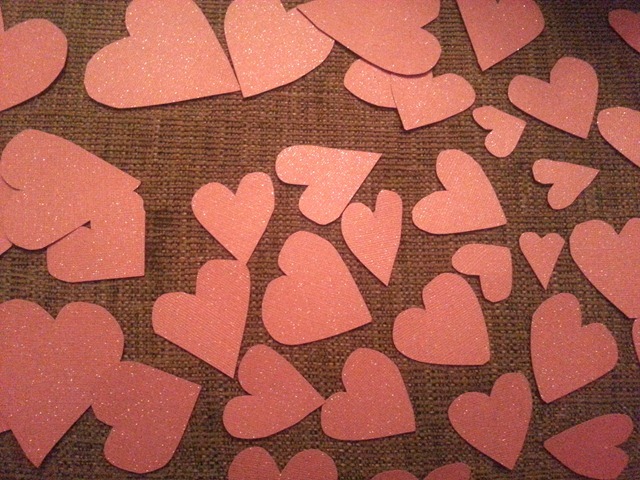 Enter a few dozen hearts hand cut out of glitter scrapbook paper. I LOVE LOVE LOVE it!!! It’s hard to tell from these pictures but there is a nice sparkle to it. 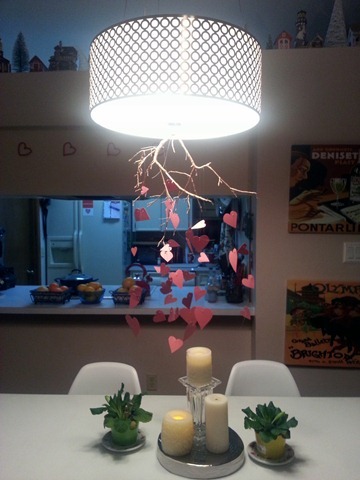 I have a feeling that this will be up way past Valentines Day!